When it comes to stomach and back sleepers, pillow selection is crucial. If you get the wrong one, you can end up with a sore neck or worse in the mornings. Stomach sleepers are especially concerning as proper neck alignment is nearly impossible to achieve. With the right pillow, back sleepers can keep their heads from falling back, compressing the spine and front sleepers can breathe better without putting a twist in their neck. The best flat pillow may be an answer to these two sleeping positions. However, if you are a side sleeper, flat pillows aren’t going to help you at all. There are a few considerations to keep in mind when you purchase a flat pillow. The first of which is going to be your sleeping position. Your budget, how hot you sleep and the materials the pillow are made from are also important. Let’s examine them individually. Flat pillows can do wonders for back sleepers and are almost required for front sleepers. Which one are you? Perhaps you toss and turn and roll about a lot as well, going from one position to another. Flat pillows need to offer support with a low loft. The average flat pillow has about a three-inch loft. Depending on fill materials and compression, you can find thicker lofts, even up to six inches. However, once the weight of your head and neck are on them, they collapse quite a bit. Usually, this isn’t a good thing. For front sleepers, the pillow can billow on the edges, where your face will be turned. This can make breathing difficult. For back sleepers a high loft, high compression pillow can cause your head to fall backward. This puts stress on your spine and compacts the vertebrae in your neck. On an alignment standpoint alone, flat pillows are not recommended for side sleepers. Combination sleepers that end up on their sides are also included. Flat pillows are too low to support your head when you lay on your side and will put stress on the neck, the muscles in your shoulder and upper back and cause your spine to twist in unfavorable positions. For this reason, if you are reading this and are a side sleeper, find a different pillow. There are plenty of soft pillows and contour pillows that cater to side sleepers. Those will have more benefit to you in the short and long-term health aspects. Your budget may not seem like that big of a deal. It’s just a pillow, after all. 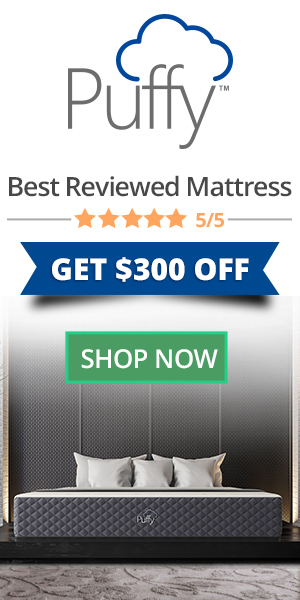 However, even flat pillows are specialty pillows and a high-quality one with support, loft, compression and cooling features will cost quite a bit more than you might expect. Allowing for a proper budget will allow you to get the right pillow for your specific needs. If you are a hot sleeper, you may find little relief with a flat pillow. To keep compression high and loft low, the materials used aren’t generally conducive to hotter sleepers. It is a general rule, and an understood that if you use a thin pillow, it won’t be able to vent airflow or breathe as well. This will cause the pillow to retain more of your body heat without dispersing it, causing you to remain hotter as well. In well ventilated and temperature-controlled rooms, this usually isn’t an issue, though. You should still take it into consideration. Flat, or thin, pillows used to be exclusively down or feather types. They didn’t offer much support but allowed back sleepers a layer of comfort between their head and the bed. Today though, you have your pick of materials. Everything from bamboo to memory foam is used to make thin pillows. Some work better than others. You need to decide what is best for you, be it a cooler pillow made of bamboo or shredded poly-foam, or a more supportive pillow with a solid core. When you lay your head and shoulders on the pillow, you will only lose (depending on your size and weight) about a quarter to half an inch in compression with most flat pillows. One downside to this, though, is that stomach sleepers sometimes find it too stiff for their needs. Cotton isn’t the ideal cover material as it wicks moisture from the body and hair. However, with a satin pillowcase, you can avoid this issue altogether. Cotton covers do allow some airflow and venting of the heat and air as you sleep, though, and with a memory foam solid core pillow, any little bit to cool the pillow down will help. Below is the list of the best flat pillows available right now. You may find that our top pick doesn’t match your needs. That is not a problem. Each of the pillows listed below have advantages and disadvantages over the others. You’ll find your perfect match somewhere on the list. The Ultra Slim Memory Foam pillow from Elite Rest offers back and front sleepers (as well as back to front “combination” sleepers) a comfortable, supportive flat pillow that meets almost all the criteria. The memory foam cushions the head and neck while supporting both in proper alignment for the spine. Back sleepers won’t have to worry about their heads falling back and from sleepers don’t need to fear the pillow bunching up in their face. Memory foam, by nature, isn’t very conducive to air-flow. Because of this, most memory foam pillows do not sleep very cool and can retain your body heat inside the pillow. Such is the case with the Ultra Slim here. Full neck and head support for both front and back sleeping positions. Memory foam cushions while not collapsing. Lowest flat pillow available with a 2.3-inch loft. Can sleep hot, retaining heat given off by your body. Off-gasses for a full day or two upon opening. Sleep Restoration makes a thin, gel foam pillow designed for stomach and back sleepers. While the main focus was originally back sleepers, the gel foam was found to distribute evenly throughout the pillow casing which left the surface flat enough that stomach sleepers didn’t have to worry. Because the fill is a gel-foam, it also keeps the pillow, and you cool while you sleep. Heat is dispersed throughout the pillow to bring an overall coolness to the head and neck. The 100 percent cotton cover aids in the airflow further cooling the pillow as you rest on it. Ideal for back and front sleepers, as well as back-to-front sleepers. Gel-foam filling pulls heat from the head and neck. Good amount of air-flow through the entire pillow and cover. High compression distributes weight over the entire pillow. Won’t work well for side sleepers. Doesn’t fold well for those that like the layered effect. Pancake Pillow is the name of the company and the product. Upon first glance, you may not see this as a flat pillow. It has an eight-inch loft and is designed for all sleep positions, including side sleepers. However, the pillow is comprised of six individual pillows with a one and one quarter inch loft each. The cover opens on three sides allowing you to remove as many or as few of the six pillows as you feel the need. You can even use just one pillow and a standard pillowcase if you prefer. The fill is a hypoallergenic down-alternative microfiber. When you put weight on it, it feels just like a goose down pillow. Stomach sleepers have the most problem with this pillow because it is so fluffy when laid upon. Unless you remove enough inner pillows, it can billow up and cause sleep interference for those on their stomach. It may take some time and trial and error to find the right number of pillows to use for your specific needs, but once you find it, there are few pillows more comfortable and supportive for all sleep positions. Fully adjustable loft and compression for all sleep positions. Hypoallergenic microfiber resembles goose down when compressed. Great air flow keeps you cooler than most other flat pillow options. The cover is easily removable to make adjustments. May not be suitable for all stomach sleepers. Can take several nights to find the right fit for your sleeping habits. Bluewave makes a pillow that is similar to the Ultra Slim from Elite Rest. It is flat on one side and rounded on the other. However, the curved side has trapezoidal edges that cause it to roll slightly when you sleep. The three-inch loft provides enough compression to keep back sleepers from having a back-tilting head, and stomach sleepers from choking on their pillowcase. Everything stays inline as long as the pillow doesn’t tip or roll. The fill is a gel-infused foam that keeps it much cooler than the Ultra Slim, and it has ventilation holes that aid in airflow. When it comes to sleep support, firmness, and durability, the Bluewave Bedding version closely rivals that of the Elite Rest model. The Bluewave Bedding pillow has a less forgiving loft and can lean or tip as you move in your sleep, though, that the Elite Rest pillow doesn’t. Gel foam insert is aerated and has incredible airflow to keep you cool. Low loft with firm compression aids in spinal alignment. Bamboo-based Rayon (40%) and Polyester (60%) cover is machine washable. Can tilt or roll when you move in your sleep. Not suitable for side sleepers. If you are looking for a hypoallergenic solution to goose and duck down pillows, Blissful Serenity has you covered. Their bamboo fill is made from the fine fibers found inside bamboo shoots that have been compared in softness to wool and cotton with more airflow and cushion than either. The soft fibers are malleable and conform well in pillows to allow back sleepers and stomach sleepers the support they need. The poly-foam fill can be removed to adjust the loft and compression so even side sleepers can get some comfort. The entire pillow is machine-washable and can be put in the dryer after a wash or any time for a freshness renewal. The poly foam fill will bounce back and be easy to mold to your desired shape. Ideal for back and stomach sleepers or combination sleepers. Side sleepers can use the pillow, unlike most other flat pillow options. Fully machine washable and hypoallergenic. Bamboo cover is soft and allows airflow throughout the pillow. Adding and removing the filling can take quite a while to get just right. No storage for extra filling once removed. Not ideal for those that use their arm under the pillow for added support. The Ultra Slim pillow from Elite Rest is arguably the thinnest pillow on the market with a loft of just over two inches. It isn’t perfect, of course, as nothing is, but it may be perfect for you. If you are a back sleeper, the Ultra Slim will support your head and prevent you from leaning back putting compression on your spine. For the stomach sleeper, the firm compression and lot loft allow you to put your face in the middle of the pillow without worrying about it being covered. This alone helps support the alignment that most stomach sleepers don’t normally have. If this isn’t the ideal choice for you, the other four options listed have variable qualities you may find appealing. Each choice is designed for certain sleepers, and your perfect match could be any of the five choices we show here.